As a member of the Zanussi Easy Team I was sent the ingredients and instructions to make my own ice cream cone cupcakes. 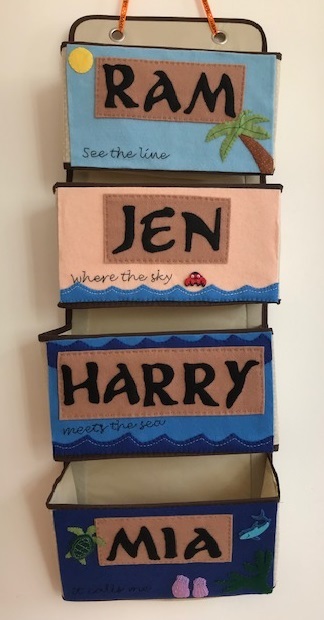 These are something that I've often admired on Pinterest but was never really sure how well they would work out, so it was a great opportunity for me to try and make some! I made up the boxed cake mix following the instructions and divided it between nine flat bottomed ice cream cones, placed inside a silicon cake case in a muffin tray. The batter came about halfway up the cones and I wasn't sure how well it would rise inside the cones. I was also worried that they would burn, so it was with some trepidation that I placed them into the oven. To my surprise, the ice cream cone cupcakes worked perfectly! The cakes rose to just above the height of the cone and were beautifully cooked all the way inside. I finished them off with icing and sprinkles, and I was really pleased with how they looked. They tasted lovely too. 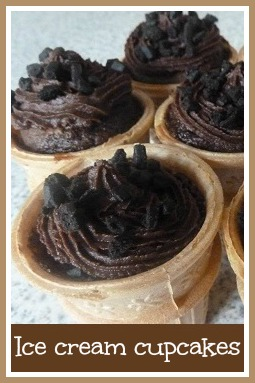 The ice cream cones were a little softer after cooking, but the combination of flavours worked really well. This would definitely be a more unusual treat to bake for a child's birthday party, and you could really get creative with the icing. I couldn't resist slicing one in half to see what it looked like inside, for some reason it surprised me that the cake went all the way down to the bottom! As a member of the Zanussi #easyteam I was sent some of the ingredients to make these cupcakes. The look fab!! So yummy!! These look great! I had the same reservations as you but will definitely give it a go now!! I'd definitely recommend it, it was so easy!